The walls in your home are essentially a blank canvas just waiting to be filled, but figuring out how, exactly, to fill them can be a little intimidating—there’s so much to consider, after all. First and foremost, you want your wall decor to be something that stimulates and delights your senses each day, but you don’t want it to overwhelm your design. Of course, you also want it to be unique, but you might not have the budget to invest in expensive pieces of artwork. Then there’s the challenge of ensuring that whatever you choose blends seamlessly with your overall aesthetic. The blank wall struggle is real, y'all. 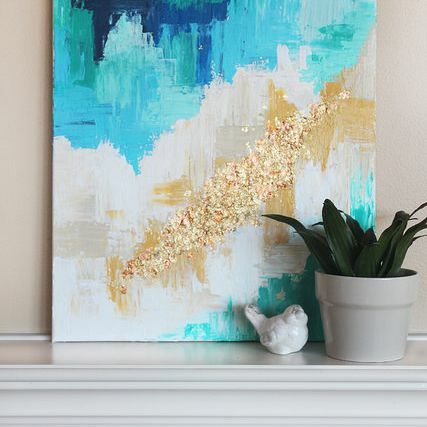 Sure, you can spend hundreds or thousands of dollars on a unique piece of art, or you can make it look like you did at almost no cost thanks to this sparkling idea. From throw blankets to pillows to keychains, tassels are everywhere this season, so it’s only right that they make their way to your wall, too. This idea will instantly add movement to your aesthetic and it’s a cinch to make. Just because the weather is getting cooler doesn’t mean you can’t bring a little spring into your home. In fact, the lack of flowers outdoors makes them all the more welcome inside. Consider incorporating this idea for a cheerful splash of organic goodness. This project is perfect for minimalists looking to add more function to their form. Not only will these shelves fill up your wall with dynamic style, but they’ll provide an unobtrusive showcase for some of your favorite treasures as well. Yarn hangings seem to be everywhere at the moment—and for good reason! They add texture and warmth to any design, and they look great doing it. Rather than buy one pre-made, customize your own for a fraction of the cost with this idea. This striking project is an easy one to fall in love with. In addition to looking professional and store-bought, these 3D bursts are super simple to make and will add intrigue to any wall they call home. This idea is perfect for those who don’t feel very crafty or DIY-inclined because it’s basically fail-proof, takes very little time and material, and the final product will immediately glam-up your whole room. Want to create a gallery wall but are lacking things to include on it? Then grab a lighter and some ink and have fun with this project. It’s much easier than it looks and will add a pop of color and personality in a splash. With the holidays right around the corner, it’s a great time to consider adding a wreath or two to your wall. And the chic, minimal design of this one means that, in addition to being a breeze to make, it can stay up all year long without looking out of place. 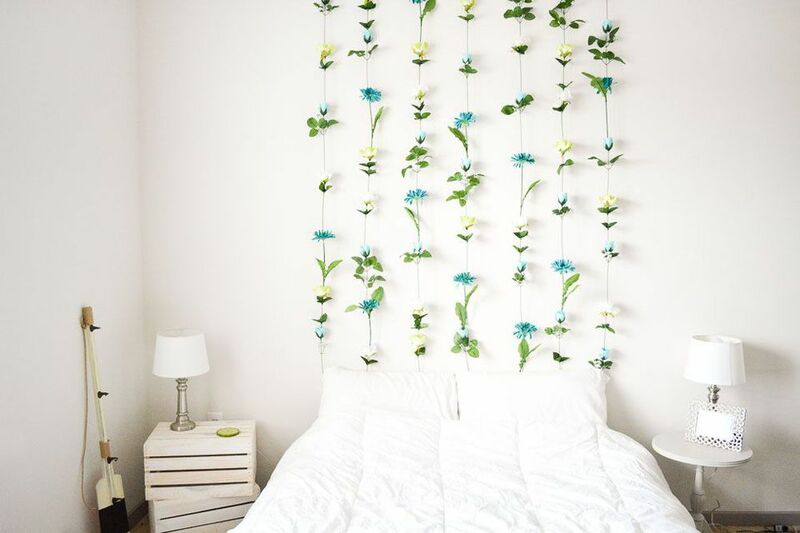 A traditional headboard is great, but a hanging flower art headboard? Well, that’s pretty much magic. Get to work on this project this weekend if you’re looking for a way to significantly increase your style’s visual impact.